I’m at that age where greys are a thing, in fact for almost six years, since buying my first house these pesky blighters have started to take over my luscious locks! So when the award winning Joseph Ferraro invited me to his newly opened salon on Cheltenham Crescent I jumped at the chance. 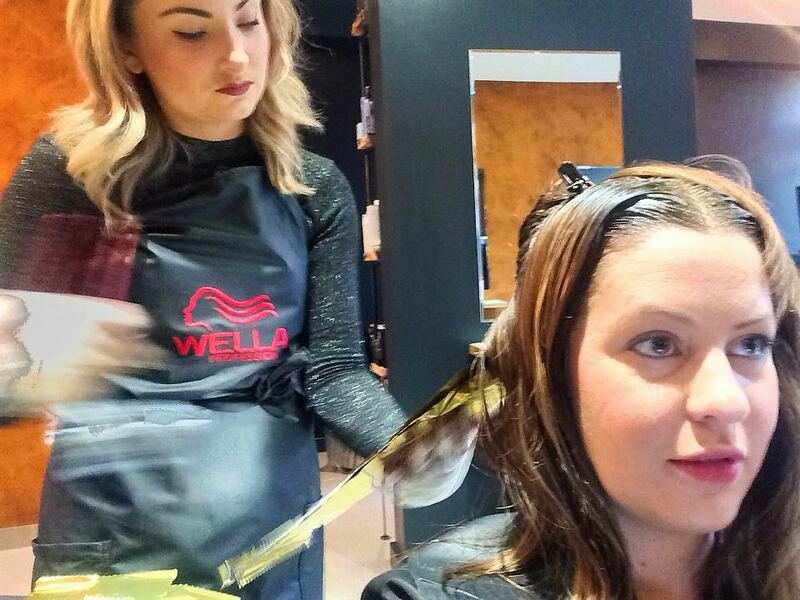 Hairdressing is a personal experience. Firstly, your putting your hair, something you hold so very dear, in someone else hands. Secondly, you can spend two to three hours there so you want to feel welcome and comfortable. Last but not least, you want to feel listened to about how you’d like your hair and not spoken too as if you’re some kind of leper. 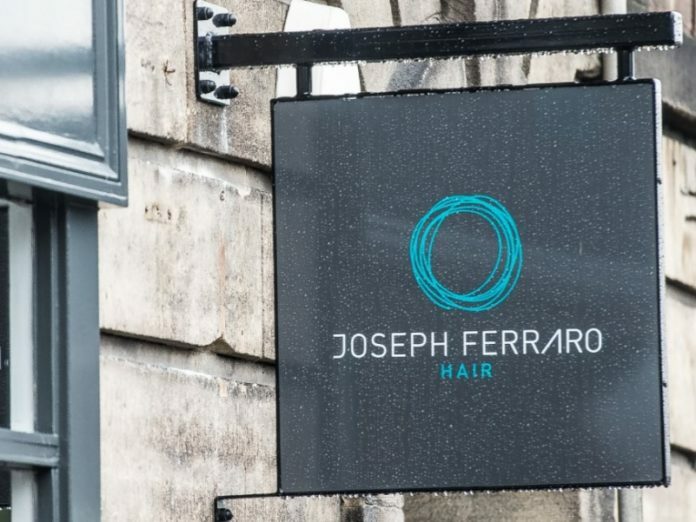 Joseph Ferraro first established a salon on Leeds Road and more recently has just won North Easten Hair Dresser of the Year now Joseph has opened a new boutique salon in the centre of Harrogate. On arrival I was greeted by Amanda, the receptionist who introduced me to my Colourist, Alex. 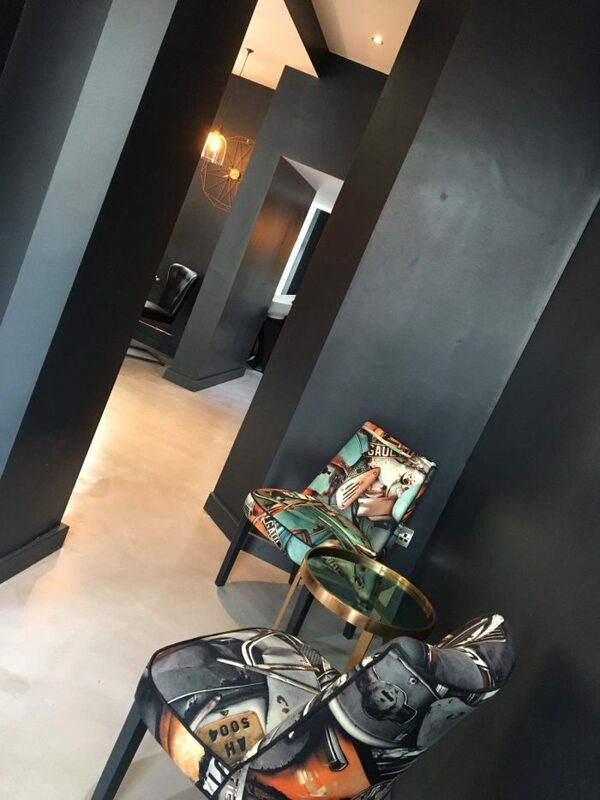 I loved the urban style of the salon, designed by a local firm EINi Interiors. First things first, the consultation. Alex asked me what I like and what I don’t like. GREYS GREYS GREYS! She then made some suggestions for the colour and went away to mix it. Jenna is a senior stylist at the salon and would be cutting my hair. She asked how I wear my hair day-to-day and what I would like. Both girls were so lovely and friendly and knew their stuff. I felt in great hands. 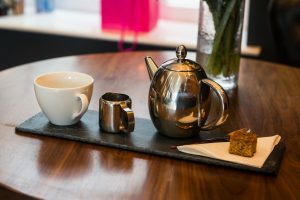 The salon offers real coffee, a variety of teas and even the opportunity to order food from Nutrition Joe’s I stuck to a peppermint tea which was accompanied by a piece of scrummy flapjack. 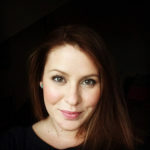 Alex applied my colour as I relaxed into writing my many outstanding blog posts. The salon was relaxed with cheery music, the staff there would come and check on me, offering the latest magazines and to have a little chat about the world blogging. It was a nice place to be. Once the colour was complete I couldn’t help but take a photo. I looked like Cleopatra! 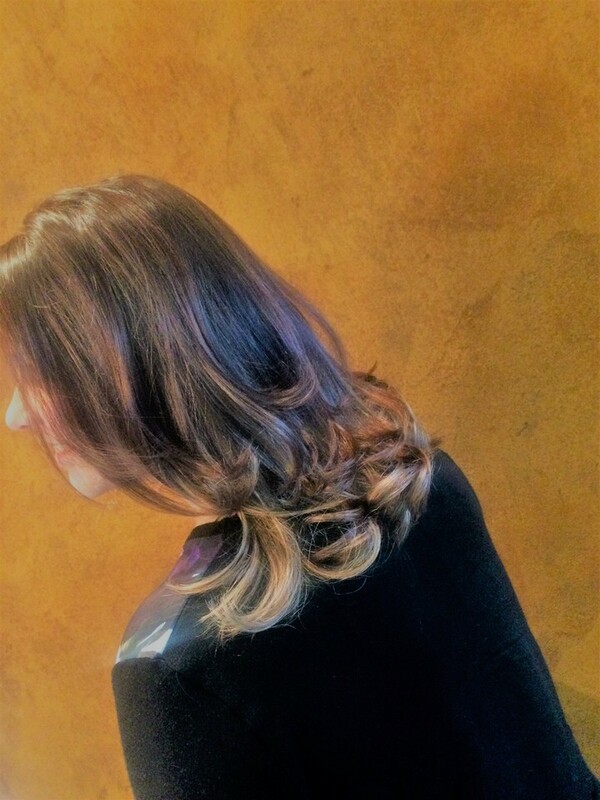 Nathan, Stylist, was in charge of my washing and Olaplex treatment. 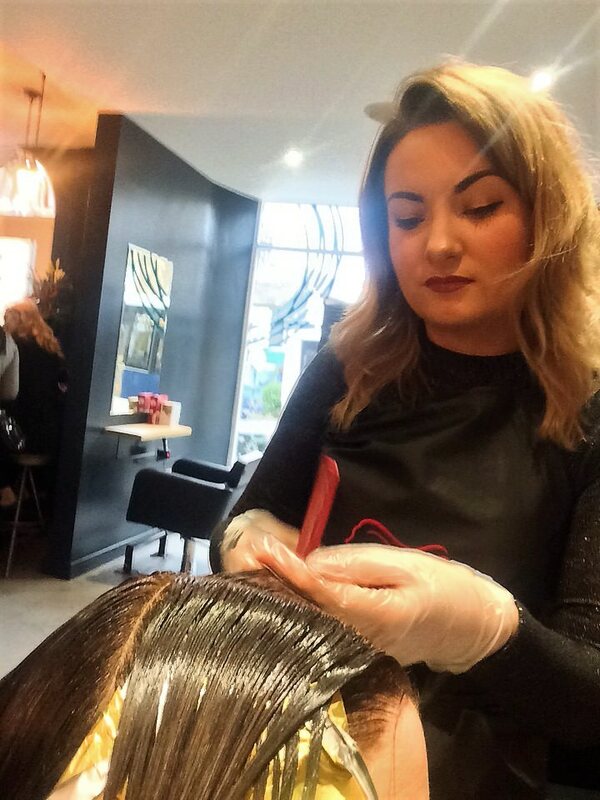 Olaplex is a new product aimed at restoring damaged hair back to health and preventing it from being damaged as much in the future. 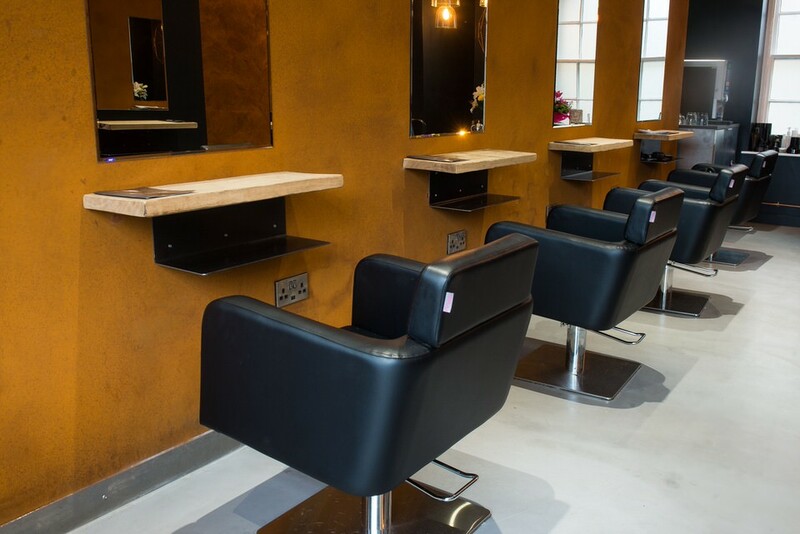 It’s only available in select salons, of which Joseph’s is one of them. It smelt wonderful and Nathan worked his magic with a relaxing head massage. 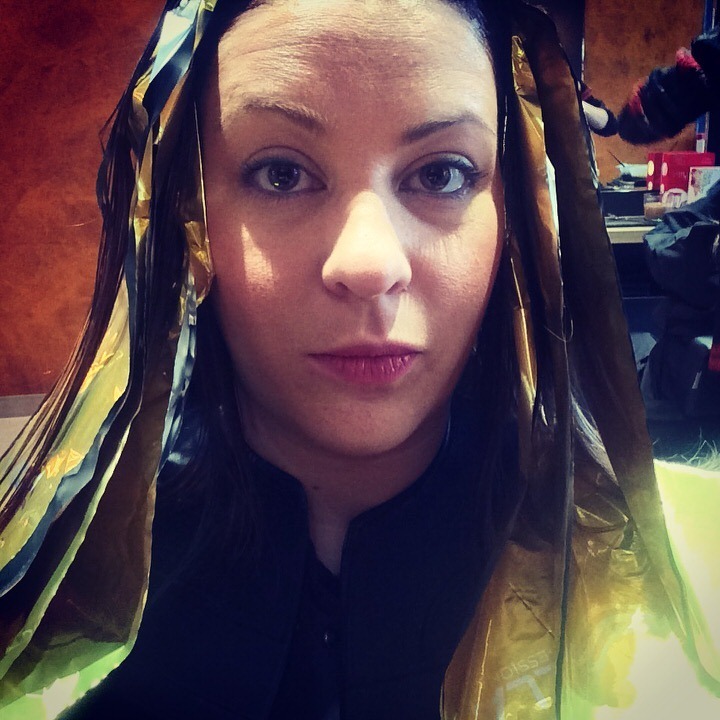 Ten minutes later I was Olaplex complete and ready for my cut with Jenna. Jenna has been hairdressing for years and instantly knew what would suit me. After a few snips here and there she was on to drying. Using a super cool round brush she was able to tame my wild hair without the use of straighteners. The finished look was amazing, the colour now blends in, hides my greys and looks happy and health. I can’t believe they results of my gorgeous locks but since my visit I’ve had lots of lovely compliments so I know it’s a cut above the rest! 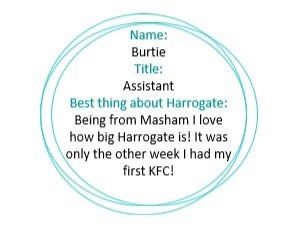 I asked the team what they loved about Harrogate… here’s what they had to say. 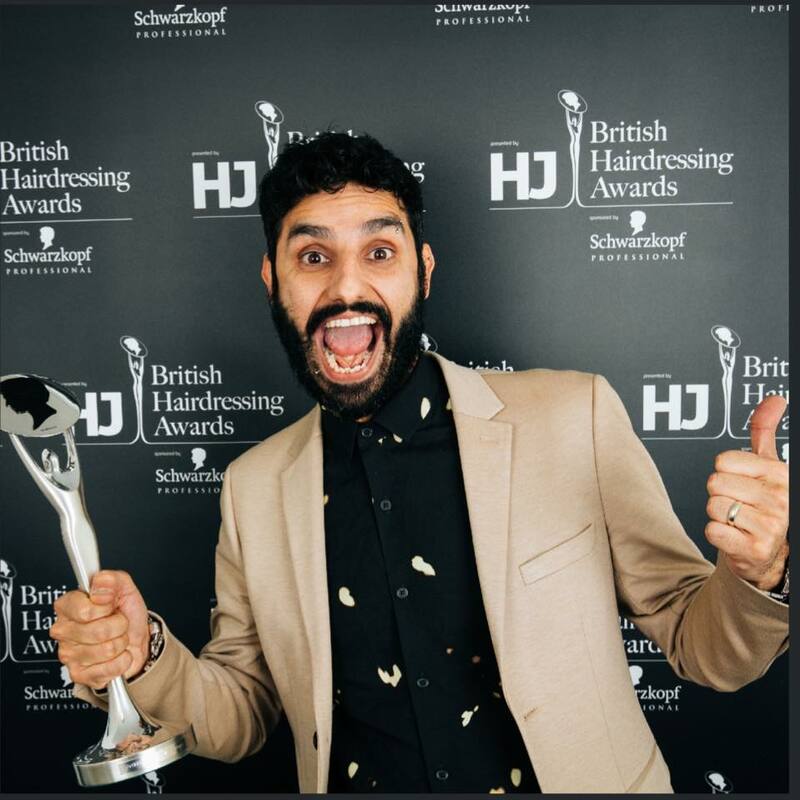 Joseph has also been named North Eastern Hairdresser of the Year 2016. It’s a big achievement for him and for the salon. I know I’ll be back in the New Year! Will you? 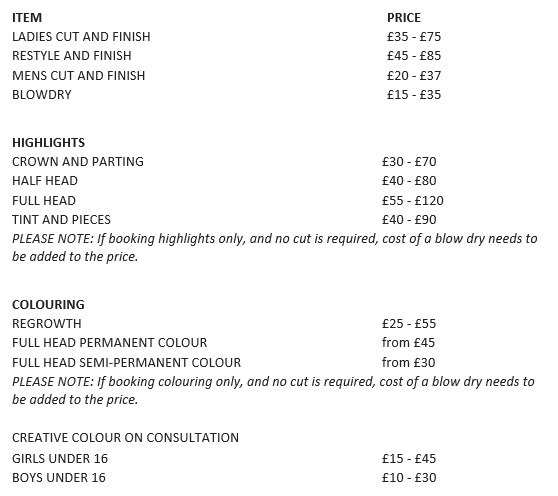 To book or discuss call the salon on 01423 528863. 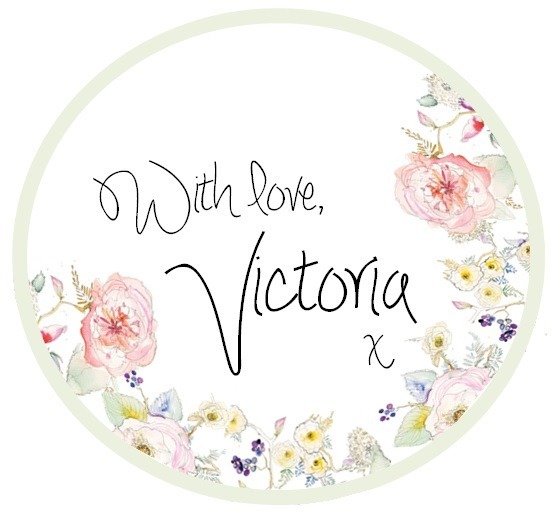 If you’ve enjoyed reading this Health & Beauty post, I have many more to come so make sure you sign up in that little box over there. 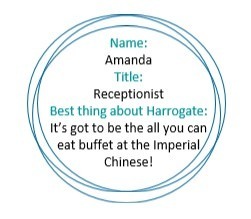 Yes the one on the right where you’ll receive updates on all things Harrogate and my crazy life. Thank you for reading. P.S. Joseph invited me to his salon free of charge. Views are my own. Hi you have a picture of 3 ladies together on your web page on facebook. At the end of the row is a lady wearing a red dress with short blonde/grey hair is she a member of your staff please because I would like my hair cutting the same as hers ..Thanks ..